Having mentioned recent British innovations in transportation (here) and sustainable rural development (here) I should mention another British innovation, which is unfortunately not widely celebrated on this side of the Atlantic. Strasbourg Tram now extends to Germany! 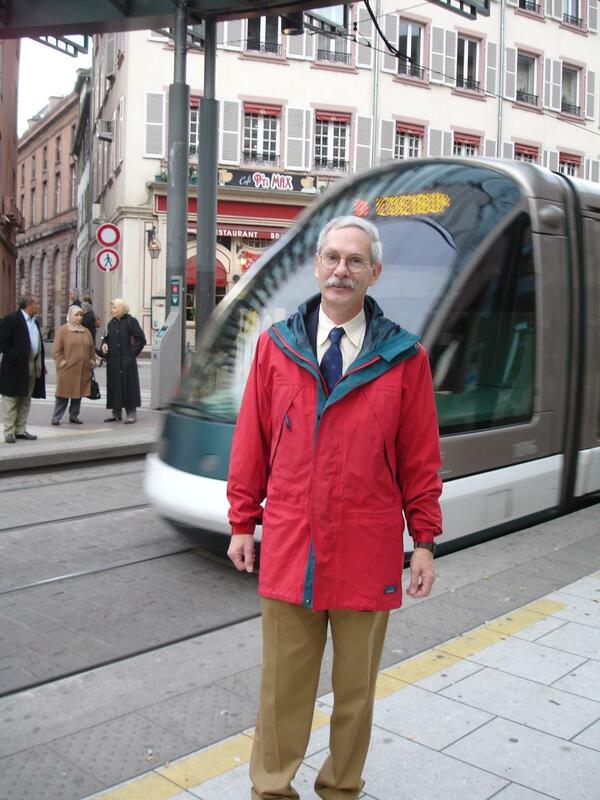 A good story on the Tram extension is here and a good video here. Note on the video the various redevelopment schemes that the Tram will tie together. The Europeans are really good at this sort of thing. Another study topic for us in the US! I recently wrote about several progressive transportation initiatives being taken by the Conservative – I repeat, Conservative - government in the UK (here). One initiative I didn’t mention (it’s not strictly transportation) is a new round of garden towns and garden villages that are being advanced as a way to ease a housing shortage. These new developments, which are descendants of the century-old garden city movement, are supposed to be more or less freestanding and self-sufficient rather than add-on or infill. In theory, at least, they will be environmentally friendly, with lots of green spaces. The garden “villages” are smaller-scale than garden “towns” and can fit into smaller footprints. To get an idea of what they have in mind, take a look at Dissington Garden Village in Northumberland (news story here, concept plan here). This particular development hasn’t gotten planning approval yet, but it showcases some of the features that an ideal garden village should have: walkable/bikeable layout, community facilities, retail shops, employment opportunities (ratio of one job per household), range of housing options built to high environmental standards, internal and external green spaces, and high-quality infrastructure, including fast broadband. Many of these garden village plans, including Dissington, have attracted local opposition for various reasons (Dissington takes a bite out of a preserved green belt), and each should of course be reviewed on its own merits. And I understand that the British planning and regulatory regime is much different than that in the US. But really, we should be doing a much better job of rural planning than we do in this country. 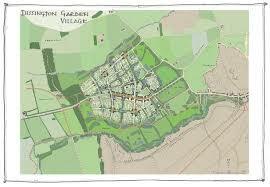 Contrast the garden village concept with the sprawl development that is still so prevalent here. I think there is much to learn from watching Dissington and its cousins. California’s cap-and-trade program for reducing greenhouse gas emissions has just cleared a big legal hurdle in the state courts (story here). And this could be important for the transportation sector. Unlike some other cap-and-trade programs, California’s very explicitly includes transportation fuels. And if it proves successful in encouraging cleaner transportation it could provide a model for other states. 1. The transportation sector has recently overtaken the electricity generation sector as the leading source of greenhouse gas emissions in this country. While GHG emissions from electricity generation have been going down (government regulations, cheap natural gas), emissions from transportation have been going up (cheap gasoline, rising post-Recession VMT). 2. Although many strategies for transportation GHG reduction have been developed – and many of them have been at least partly implemented – the trend lines are not good and even aggressive implementation of more conventional strategies looks to fall short of science-based targets for emission reductions. 3. The federal government appears to be out of the game for the foreseeable future, leaving the initiative for climate policy squarely in the hands of the states. The California program is (not surprisingly) a bit complicated. A good overview can be found here. One of the key features of the California program is that it generates significant revenue, which by law has to be plowed back into “green” investments. (Some people have called a program like this “cap-and-invest” rather than “cap-and-trade.”) According a recent report to the Legislature (here), in the first four years of the program, $3.4 Billion has been appropriated from cap-and-trade proceeds. In the transportation sector, this has funded, among other things, more than 100,000 rebates for zero-emission and plug-in hybrid vehicles and more than 200 transit projects. At least 25% of the appropriations from the program must be targeted for disadvantaged communities. California policy makers have decided – I think wisely – that for both practical and moral reasons it’s a bad idea to make rural and disadvantaged communities pay a premium, say in higher gas prices, without receiving targeted investment in their mobility needs. Is California-style Cap-and-Invest coming to other states? Perhaps. It certainly has major potential benefits and should be watched closely as it develops.